Highlander Boats have been manufacturing loch fishing boats for 30 years and there are literally hundreds dotted around the country. If you are considering a new boat, or replacing part of your fleet now is the time to buy as prices are likely to increase in December due to ever increasing raw material costs. 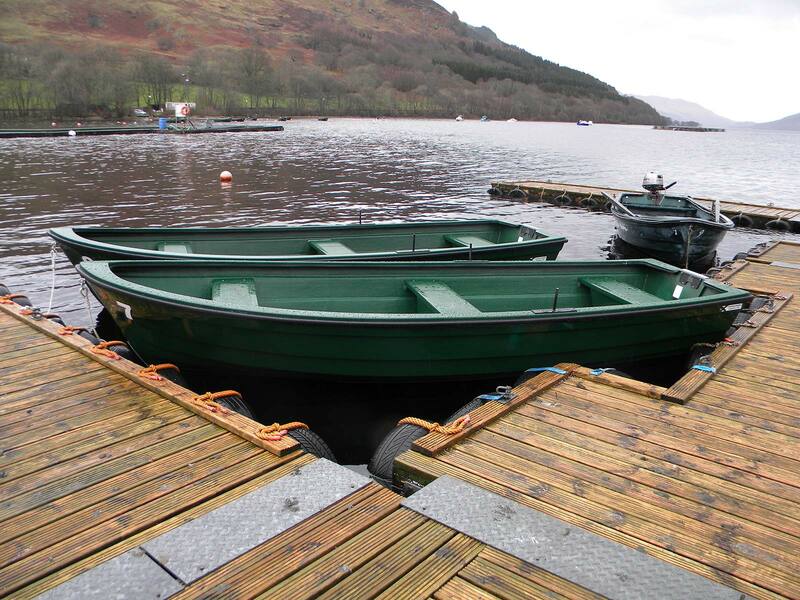 We manufacture a range of boats from the small ARRAN dinghy, The Jura dinghy our standard 12 foot rowing and fishing dinghy as well as two specialists boats which are designed specifically for fly fishing. The Club 12 and Club 15 are recognised by the fishing fraternity as great boats to fish from with both boats featuring water ballast tanks which makes them fish and handle like a traditional wooden boat. Recently we have been offering customers the option of an access pack which can be fitted to the boats at the time of manufacture. This enhances the fishing experience for the less able who greatly benefit from the stainless steel grab rails and swivelling bow and stern seats. For further information or a quote please feel free to give us a call or drop an email, we offer discounts on multiple orders and deliver UK wide.